Young people, today, are what we call digital native; they are used to have computer and Internet, and they are using cell phones and social media for communication (Prensky, 2001). Because of that it is not easy to be an instructor teaching in an online course. 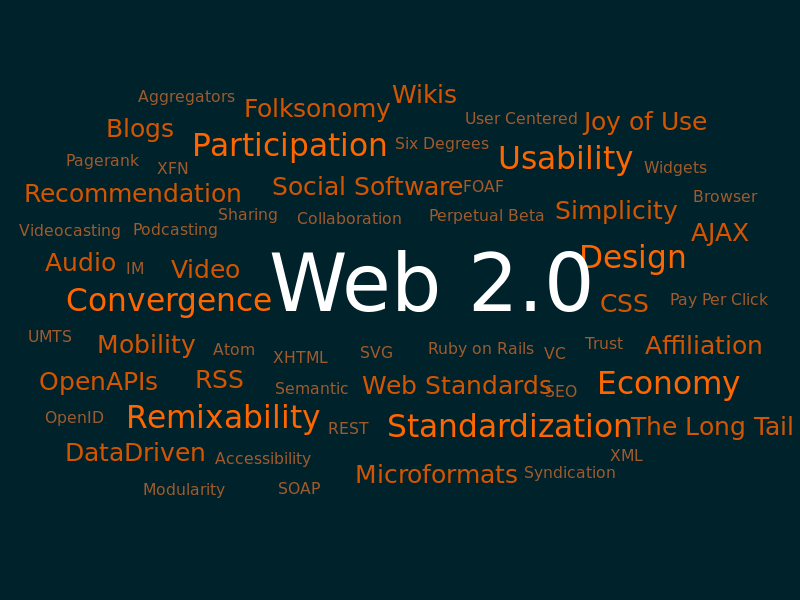 The students of today expect us to have different technology and multimedia in our courses, and it is a temptation to add a lot of forum, wikis, blogs, video, audio and other Web 2.0-tools. The most important thing for you as an instructor is to decide why you are using technological tools and multimedia in you course. We always have to think of the objectives of the course and consider if the tool helps students get the knowledge of the content and reach the objectives. If the answer is yes then use that tool, but if the answer is no, then put that tool aside. Focus on the essential tools, especially if it is the first online course you teach, and then for each time it runs you can add more technology. Use tools that you feel comfortable with and that will help you. We might look at tools as something that is only for students to use, but technological tools could also be tools that can help you as an instructor in the administration work. Tools that we use in an online course should be used to help communication, to create a presence in the online environment (teacher, social and cognitive presence), but also to add tools to student collaboration. Different tools can also help students with the learning of knowledge since it could help them use different learning style. Another thing we have to consider when using adding a tool to an online course is if the students are able to use it. Who are the students in your online course? It might be middle age to older students, with a lot of work and life experience, but not so much of technology experience. If that is the case, you should use tools that they are used to or tools that are easy to learn to use. You can always let students have the choice to use tools from a toolbox, and they can then use tools they feel comfortable with. One important thing when it comes to an online course is that it has to be accessible to everyone, no matter if they have a disability or not. In article 9 in United Nations Convention on the Rights of Persons with Disabilities can we read about access to information and communication using technology and Internet. Countries that agreed on this convention have then made laws to make sure this will happen. USA is one nation and Sweden another where those laws exists. That means that if you use multimedia of some kind you have to make sure that anyone that cannot see or hear still can use the multimedia and understand the information given. The last question I had to answer was about what technology tools are most appealing to me to use in online teaching. I have used and are using almost everything (not games though). I have used and am using video and audio a lot in different courses, and I think that is a good way of teaching online. I use quizzes, forum, Skype, and E-meeting rooms as Adobe Connect. My problem is not the tools itself, but to use them, in a way, that will help students in their study and reaching the objectives. That is the area I need to work on to get better. Millan you stated, “Young people, today, are what we call digital native; they are used to having computers and internet, and they are using cell phones and social media for communication (Prensky, 2001). In 2014, I have come to realize that even though the today’s students are technology quirky, they struggle when it comes to basic research, basic writing, or producing documents in MS Word. With all of the technology and multimedia, we are hurting today’s learners if we do not bother to teach them the basics. We cannot rely on them learning it via technology alone. P.S. Your post covered everything and hit everything right on the head. You are so correct. Digital Native are used to technology, especially social media, but lack in using tools in a way that University expects. Your blog looks great! I like the picture you embedded into your post and the yellow lined paper effect is reminiscent of traditional school. You made some really good points about tools being beneficial to the instructor; who knew that there was tracking software that could be used to tell the instructor when a student posted to the class thread; or to tell the instructor how many post have been made to a threaded question. Online tools have come a long way in terms of what we can do with them to make the life of an online instructor easier and make reporting to the students results more accurate. Thank you for also reminding novice IDs who aspire to teach online that there are tools to help us too. I did a basic search and came up with this site for free software and tools that could be downloaded for facilitators/instructors. I really like when you pointed out that technology tools are not just for the students–I realized that has been my bias when thinking about technology–what will make the experience more meaningful for the student. But we need to also think about what technology tools can make the teaching experience (online and F2F) experience more meaningful and streamlined for the instructors as well. This was driven home to me when I read the article about the tools that can help instructors evaluate the many responses and threaded comments made during a week’s discussion requirements. This would be very useful to the instructor in managing the administrative side so they can focus on the content side. I also think the plagiarism software we read about this week falls into this category because it helps streamline or focus the instructor’s time in evaluating plagiarism on those students whose work is questionable. Thanks for making that important point. Millan I appreciate that you talked about the use of technology and tools so that everyone can learn… just as you stated most Gen X and Millenniums are technology savvy but everyone is not the same and some have disabilities The ADA Standards for Accessible Design should be taken into consideration when we as instructional designer create and develop curriculum for learners. Thanks for bring that fact back to the fore front.